We recently learned that Tesla has built an assembly line for its Model 3 sedan and housed it under what Musk called a “tent” next to the company’s Fremont, CA factory. Tesla has been pulling out all the stops to hit a Model 3 production rate of 5,000 Model 3’s per week by the end of June – and to post a profit in the second half of 2018, after 15 years of annual losses. The tent – in truth, a large temporary structure – houses a general assembly production line and is located adjacent to the plant. 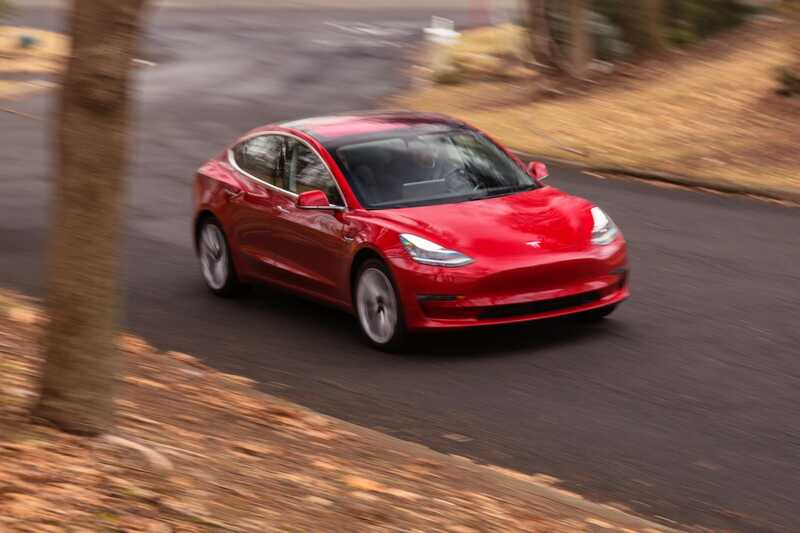 It’s handing the company’s $US78,000 dual-motor, high-performance Model 3’s, the most expensive versions of the vehicle. The $US35,000 base Model 3’s, intended to be Tesla’s car for the masses, is seemingly a long way off. The goal behind the tent is apparently twofold. Tesla has a single general assembly line for its Model S sedan and Model X SUV, and two parallel lines for Model 3, all inside its factory. Lacking enough physical space in what is by the standards of the auto industry a large plant, Tesla looked to the fresh air of the East Bay for a fourth Model 3 line. The company is pushing hard to achieve a weekly Model 3 production target of 5,000 units, and the existing capacity under Fremont’s roof wasn’t adequate. 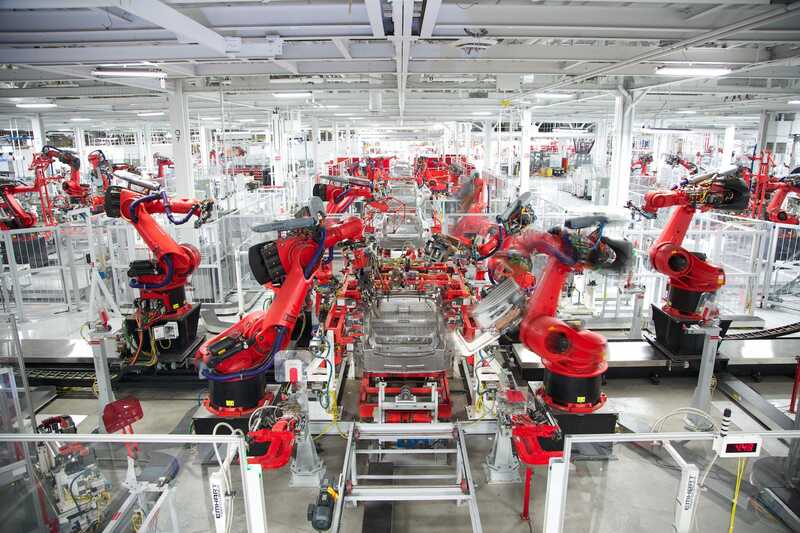 It’s worth pointing out that the Model 3 line was supposed to be an initial phase of the transformation of Tesla’s manufacturing systems, factories into what Musk termed an “alien dreadnought” – some so thoroughly automated that it would be unrecognizable to auto industry veterans. Model 3 production has struggled from the start, after a launch last July. Production “bottlenecks,” as Tesla labelled them, at the company’s Nevada battery factory and later automated assembly snafus in Fremont led the company to abandon its robot dreams an return to using good old-fashioned humans. The pace has been intense: Tesla has been running 24/7 on three shifts the get the Model 3 on track. Tesla must post a profit – or bust? Part two of the tent manoeuvre involves Tesla’s financials. Tesla has been burning a staggering amount of cash and has upped its annual losses to record levels. It’s costing over $US1 billion per quarter to operate – but the company has less than $US3 billion in the bank. Yet Musk has said that Tesla will be cash-flow-positive and profitable in the second half of 2018 and require no new capital raises, either through issuing new equity or debt. Consequently, Tesla has been laying off 9% of its workforce, submitting anything more than $US1 million in spending for Musk’s personal approval, and throttling back its expenses while producing only the highest-ticket Model 3s. With the second quarter about to close, the third quarter has to yield some massive revenues to overcome Tesla’s monumental costs. In that context, the tent is either heroic or desperate, depending on your point of view. The alien dreadnought plan is evidently in a shambles, but although Tesla shares have been hammered in 2018 after a huge rally in 2017, the stock price remains around $US350 and market cap is larger than that of Ford or Fiat Chrysler Automobiles. According to Musk, the tent and the new general-assembly line – presumably consisting of several million bucks in precision, computerised technology – went from concrete slab to pushing sheet metal in three weeks. So there’s the heroism. “I’m sure it’s unique and unprecedented,” Karl Brauer, Executive Publisher for Autotrader and Kelley Blue Book, told Business Insider in a phone interview. But Brauer also said that what will be more telling as far as Tesla’s future goes is how long the company sticks with general assembly in a temporary space. No other major automaker would attempt anything similar; as Brauer noted, they would typically establish the manufacturing capacity first and only then build the vehicles. Bob Lutz – a former auto-industry executive at General Motors, Ford, and Chrysler – has been highly critical of Tesla and offering less optimistic point of view. That doesn’t mean Musk won’t get Tesla to post a result in the black for the second half. “As he skims off the layer of devoted disciples who will pay $US60,000 for a $US30,000 compact, he will probably still have a good variable margin and may even – by hook, crook, creative accounting, expense deferral, etc. – manage to eke out a temporary profit in the third quarter, which will soon evaporate again,” Lutz said. I’ve written a lot lately about how what’s going on at Tesla looks nothing like anything I’ve ever seen in my years of covering car companies. The obsessive scrutiny of the Model 3’s rollout, with everybody and his brother and second cousin speculating on the vehicle count, is in itself something I’ve honestly never even thought about before. Usually, when a carmaker says they’re going to start selling a new vehicle, you assume that in short order they will match production with demand and the factories will start humming. Even in that context, the tent is sort of a bridge too far. In truth, I’ve admired Musk’s moxie: You gotta do what you gotta do. On the other hand, there is an amateurish element to Tesla’s current predicament that could easily be solved by asking for some help. With 400,000 pre-orders for the Model 3 in the books, several contract manufacturers in the industry would be glad to lend an assist – and customers would get their cars. What the tent really shows us is how distant we’ve gotten from Musk’s initial ambition for Tesla to deliver the first significant advancement in manufacturing since the vaunted Toyota Production System (TPS) was developed in the 1970s and 1980s (and ironically honed for General Motors when GM and Toyota jointed operated Tesla’s factory, when it was known as NUMMI). There’s some karmic payback on tap for Musk: he scoffed at TPS on an earnings call earlier this year. He later started talking about the “Tesla Production System” and insisted that it would be Tesla’s biggest ultimate contribution to the future. The alien dreadnought might still come to pass, if Tesla’s can ride out its latest self-inflicted crisis. A new factory in Shanghai, China could be announced later this year and fulfil the dreadnought dream. But for now, Tesla is building very expensive all-electric vehicles in a giant tent, and that should give even the most ardent boosters of the company serious pause. 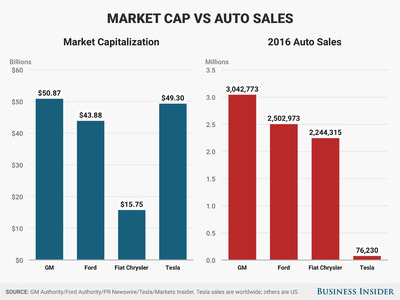 Business-as-usual in the auto industry might be boring to Musk. But at least nobody has to go on an industrial-grade camping trip to make cars.